100% virgin wool (fabric weight 360 g/running metres), fabric made in Italy. Lining 100% cotton. 3 attached pockets, button-down breast pocket, 2 inside pockets. Contains non-textile elements of animal origin: real horn buttons. Garment produced in Italy. Comes in grey mélange. Back length for size M = 65 cm. 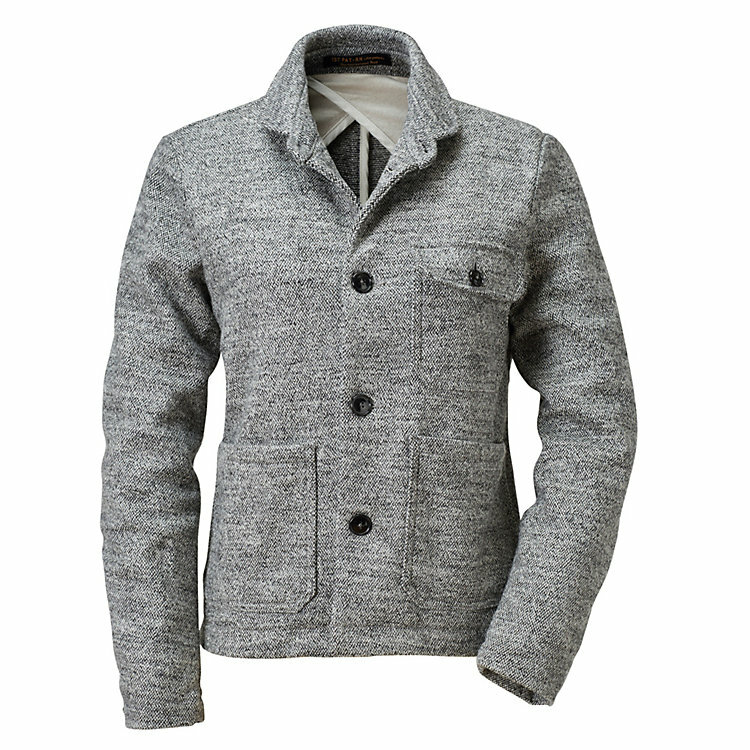 A jacket with a small lapel collar made of woven wool with a mélange look. With a lining in the back; the seams are cleanly piped.